Hello FrNds!! Here i am back with Another Biggest Loot For The Day. YOU can easily earn real money into your bank account using the Uc News app. 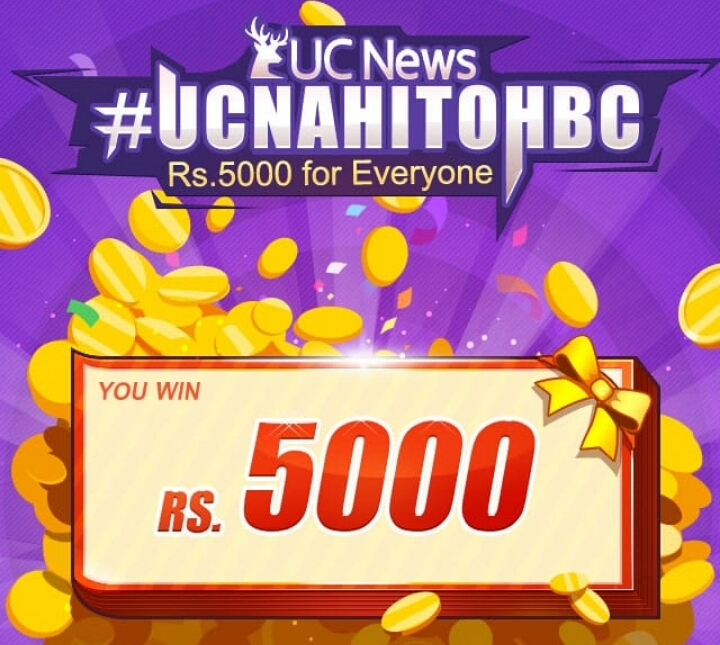 As promotional offer uc news started refer and earn program. It’s really Biggest Loot of This month, Let’s Go into this loot. UC News keeps you up to date with viral stories trending on social network, breaking news & developing stories locally and globally. With their professional Cricket editor team, UC News also provides you with LIVE Cricket Scores. You’ll never miss out on any wonderful matches. ◾ Open app and Select Your Language. ◾ Select any News category. ◾ Wait for a Minute and let that page open. ◾ Wohooo!! 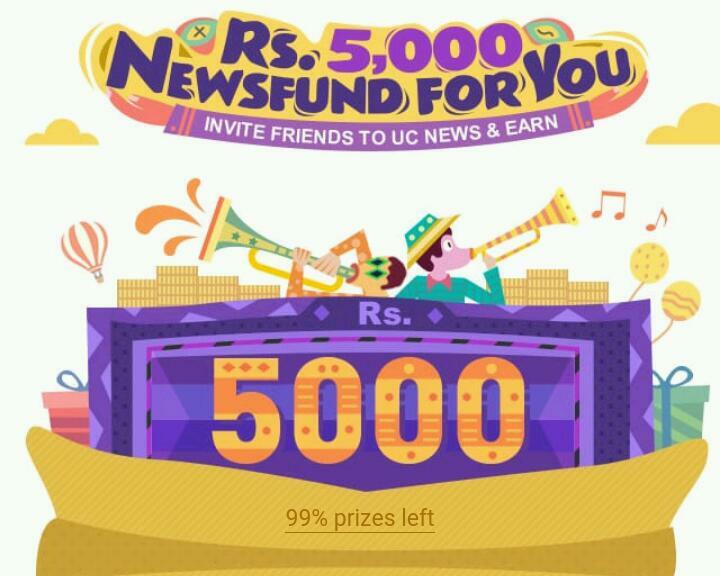 You are now eligible to Invite your Friends on Uc News. ◾ Click on INVITE option and share your Refer code on Facebook to earn More. 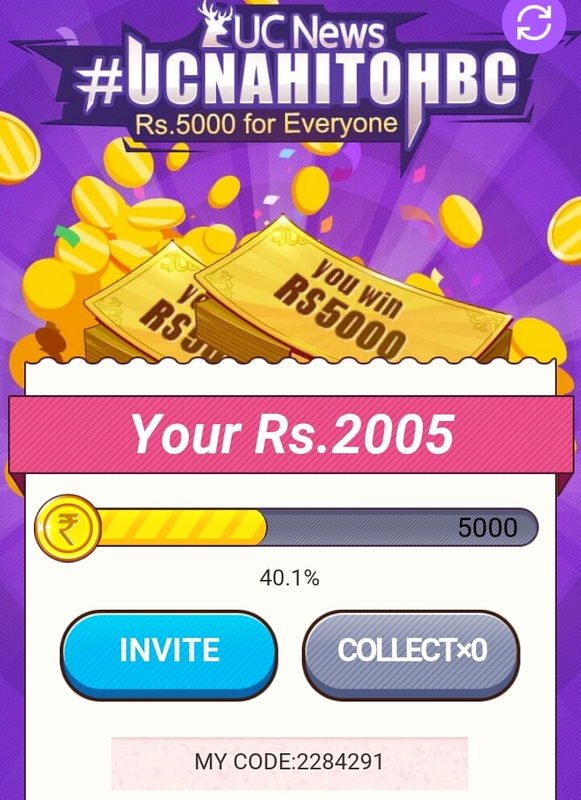 ◾ Once you will Reach at Rs.5000 and Process bar will be Full at 100% you can redeem your Amount in Bank.